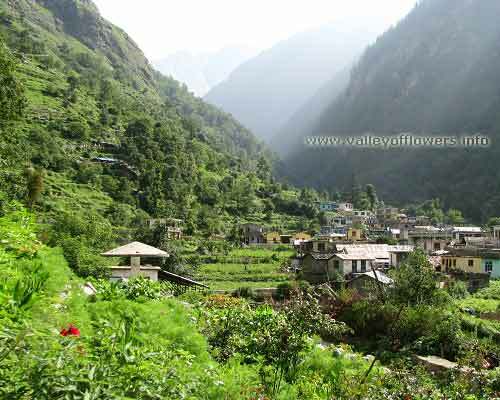 Home › How to reach Valley of Flowers ? Reaching from Govindghat to Ghangaria. Reaching Ghangaria from Govindghat by trekking. To reach Ghangaria from Govindghat by trekking you should start your trek as early as possible but not later than 8:00 AM. Have a good breakfast before starting and carry fewer luggages or hire a porter. If you are hiring a porter kindly make sure to be with him all the time for your own benefit. You may need things on the way like umbrella, eatables or camera on the way. Do not put any valuable in luggage with porter. Do not be in haste to reach Ghangaria as you will more tired, just enjoy the beauty of nature and keep clicking photographs. You will reach Ghangaria by evening. Stay in a pre-booked hotel. (Contact us to book a hotel in Ghangaria). I am planning a solo trip to Valley of Flowers in mid November. Is that a favorable time to visit the valley ? Please send me a detailed itinerary from Delhi. 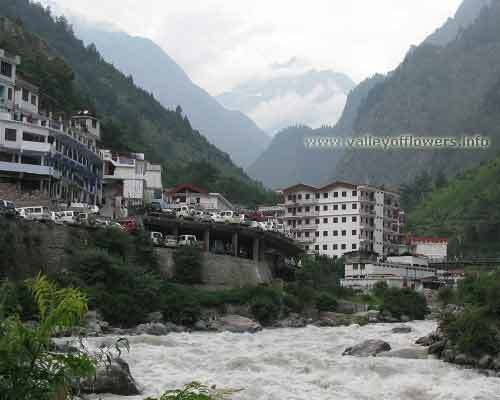 Reaching Haridwar by 6th Aug. Would like to trek Valley of Flowers and hemkund satin. Please do advise. 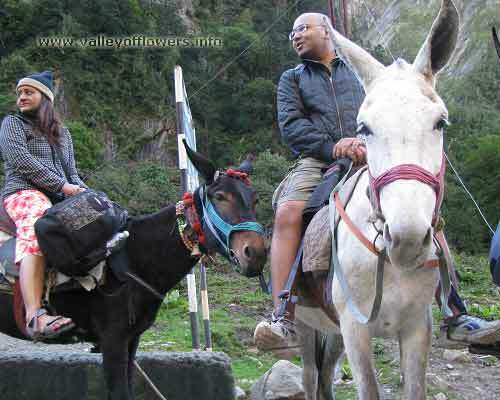 hi, we are 3 people from delhi to Valley of Flowers. Please send details. Please send me the details from delhi to Valley of Flowers. I am planning to go next year with my wife and son…..can you plz send all of the information that is required..
wanted to go with a group of friends 5 from delhi to Valley of Flowers . Me and my wife are planning to visit the Valley of Flowers in the last week of July this year. What’s the duration of the entire trip? And the costs involved, including accommodation? From Delhi we are planning to board a bus. What is the nearest place we can travel to by bus from Delhi? Kindly furnish the above information along with other details so that we can plan our trip well in advance. we are planning to visit the place this july. how much will it cost for a group of 4-5 people including the journey from Delhi. And is it possible to visit the place on your own and making your own arrangements? What time of the year is best suited to visit and how much it will cost for the trip, and is it possible to camp at Valley ? A detailed itinerary has been mailed to you please go through it and you can call us on 9991242759 anytime. July and August is best to visit Valley of Flowers and no one have permission to stay at Valley. Please share details of trek. 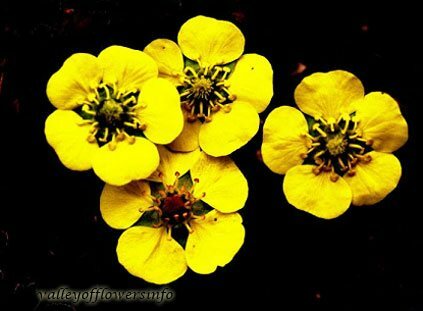 We are a group of 5 from west bengal want to go to Valley of Flowers during mid july for 6 days. Can you provide details of the journey including the cost. Hi in the month of June you can see glaciers there. Interested in visiting of Valley of Flowers. Kindly send me details of trip n trekking. Interested in visiting Valley of Flowers, please send all the details, best period to visit and also how many days to be spent there. Hi! I am planning to visit Valley of Flowers in June end (starting date 25 June). Can you send me a detailed itenerary with price for trip from Delhi. I am planning a visit to Valley of Flowers in June second week. We are 1 couple and 1 kid (5 yrs). Please send the detailed itinerary for the same. I am planning a visit to Valley of Flowers. We are 2 couples. Please send the detailed itinerary for the same. Me and my friends are planning to visit this place. Which is the best time for this July or August. Plan suggest. I have my father aged 70 Yrs who would like to travel to Humkund Sahib. How can the same be planned on a heli ? Please consult the doctor. 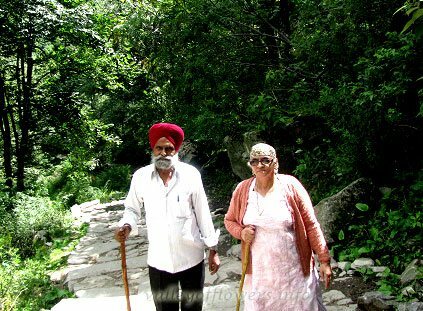 Please read Senior Citizens in Valley of Flowers page on our website. Hi, I am Sourav from West Bengal. Planning to visit Valley of Flowers & Hemkund Sahib this year. Myself 45, my wife 40 and my son 15. Please guide us about the best time, tour itinerary and package costs. I am interested in tracking to Valley of Flowers under your able guidance. I am single I would like to visit during second week of June. Can you send me detailed interns and cost. Hi I am planning to visit Valley of Flowers in August, 1 person. Can you please provide an itinerary and the cost. 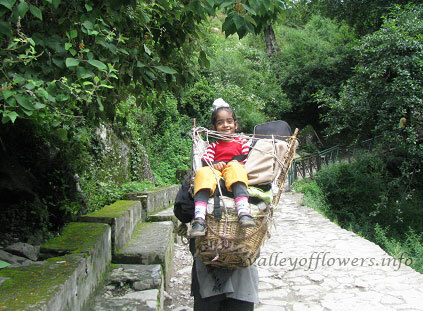 Hi…we are two ladies aged 40 and 30 would like to visit Valley of Flowers. I am also a travel agent who loves nature and travel. Please send me a detailed itinerary and costing. We have sent you a detailed itinerary for the trip to Valley of Flowers. Please provide us your contact no so that we can call and discuss with you about the trip. We live in Gurgaon. My mother is 60years old. Can we plan a trip to the Valley of Flowers with our mother. We may plan for 2-4 people (including mother). How many days would be required for a leisure trip there? What is the best time to visist? How low will the temperatures during that time? A detailed itinerary has been sent to you.Please go through it and revert. Best time to visit Valley is in the month of July and August. I am looking to visit the Valley of Flowers in November. Will it be the right time to visit there? 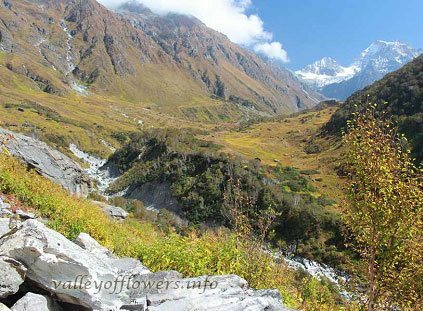 Valley of Flowers is closed in November. looking forward to the Valley of Flowers. I shall be interested in making the trip during July-August of 2018 with my son, who is 24. I am 56. Hi sir, a detailed itinerary has been sent to you. Feel free to contact us. Looking to visit Valley of Flowers from 9th july, 2017 onwards. Is this is a good time. We are a group of 3 people. Yes it is a good time sir, a detailed itinerary has been sent to you. I am planning to Visit on July 21 and plan to back on 24th we are group of 5. We are a group of 4-5 planning to visit Valley of Flowers possibly in the first week of august’17 with private transport. Is that the ideal time to visit. Please share the itinerary for the trip, thanks. Hi, We are a group of 6 people. Planning it for 24th-26th June. Can you please share the details. We are okay with overnight journey from Delhi on 23rd. The trip can not be completed in four days. Dear sir, we are planning to visit Valley of Flowers in 1st week of July. we will be in Delhi on 3rd July and our return is on 9th July from Delhi. please tell us there is any package available or tell us how can we plan our tour to move forward. I am planning to visit Valley of Flowers and hemkund sahib. I am single to visit.my planning to come in September 2017. Hi me and my friend will reach Delhi on 27th July 11 am….and have a to reach back to Delhi on 1st August by 2 am..can we do a trip of Valley of Flowers within this period.? Not possible sir, you need at least 6 days ex Haridwar for Valley of Flowers trip. Hi, I need to know the detailed itenery for Valley of Flowers starting on 11th June for two people. A detailed itineray has been sent to you. Please check and revert. I am interested to visit Valley of Flowers after 20 June. I am alone and aged 45. 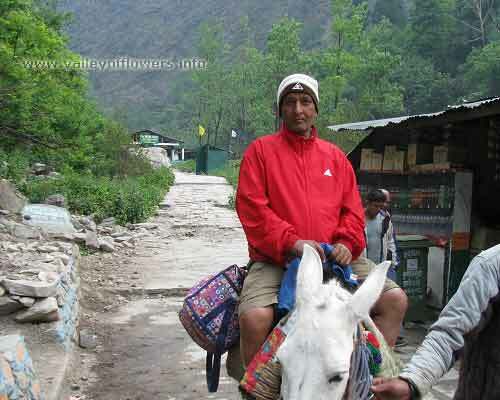 Hi, i am planning to visit Valley of Flowers and Hemkund Sahib. We are 2 people. We shall be leaving from Delhi. Prposed schedule is 15th June. Kindly advise and send the detailed itinerary with contact details. The details are sent to you, please check and revert. Im coming to delhi from kerala after 20th july .I am planning to visit badrinath, Valley of Flowers and Hemkund Sahib. please let me know details. The details are sent to you. Thanks for contacting us again for the trip to Valley of Flowers. The details have been sent to you. Please provide us details for june trip along with the budget per person. I want to visit Valley of Flowers and Hemkund sahib in August. Can you provide me details about the journey, how many days do I need to spend and the budget. Details have been sent to you sir. I am interested in visiting Valley of Flowers, Kindly share the timelines which will be best to visit the place so according i can plan. Also please share the required details such as how many number of days (Min) i am required to have in order to visit valley of Flowers (make note that i would want to spend maximum time in the place), pricing, itinerary or any other details. 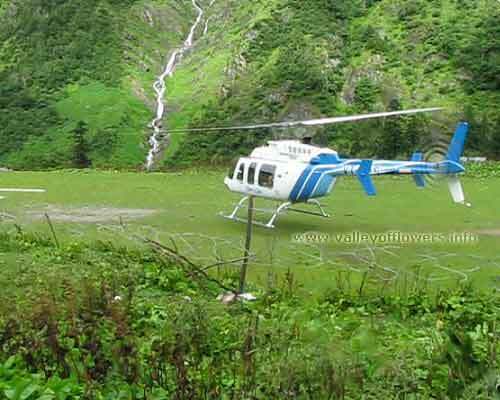 I want to visit Valley of Flowers by helicopter in September 2017. Can you tell me how buy the helitickets? The helicopter shall fly from Govindghat to Ghangaria. 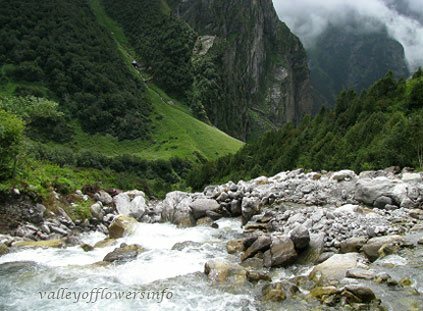 You need to trek to Valley of Flowers as the ride will end at the base camp only. The detailed itineraray has been mailed to you. Kindly have a look. Hello! We are planning a trip to the Valley of Flowers in July 2017. Could you please give me some details. Really like to explore the same. Also like to add Hemkund Sahib ji.But i have only 5-6days excluding Sunday. We r 3 adult with 1kid of 10. Wish to go between june/july.We would like to travel by our own vehicle,as driving in hilly areas is my passion. The detailed itinerary for 6 days 6 night option have been sent you via mail. Kindly check. Hi. I’m Maznah from Malaysia. my husband and i, 56 & 54 years old planning to go early aug Can you please let us know the cost involved. Soon we will announce the departures for 2017. will send you all the details including the cost. All the details been sent to you. Kindly go through them. pls send me the entire details including cost for the month of october.thank you. Would like to tell you that Valley of Flowers opens for a few initial days in October (that too not certainly). The detailed plan has been sent you. You can plan to come anytime before it limiting back to June. Kindly check the plan and contact. The detailed itinerary for this year has been sent. Kindly contact if interested this year. I want to visit Valley of Flowers with my wife. We are aged 32. We would like to save time by reaching through car to whichever point possible. Main objective is to experience beauty of Valley of Flowers. Our holiday is from 13th to 15th Aug. We live in Ghaziabad. Please suggest best itineray and how to proceed. You can call me at 9811882669. The detailed itinerary for this year has been sent to you. We will contact you soon on your number. We intend to travel between 12 August to 15 August. We will start from Delhi to Haridwar on 11th night. can you tell me the cost per person for vof and hemkund sahib?? also can u arrange a trek to kagshabhusandi tal in inclusion to this tour plan? can you please tell me if netwok problem is an issue there at Govindghat and Ghangaria? BSNL and idea network will be working there. Please send the package plan from haridwar to Valley of Flowers and back for two peoples. We prefer dates between 6 Aug 15 to 16 Aug 15. We are not having any fixed departure starting from 6th August, 2015. We are having one departure starting on 9th August, 2015. Detailed itinerary for that one has been sent. 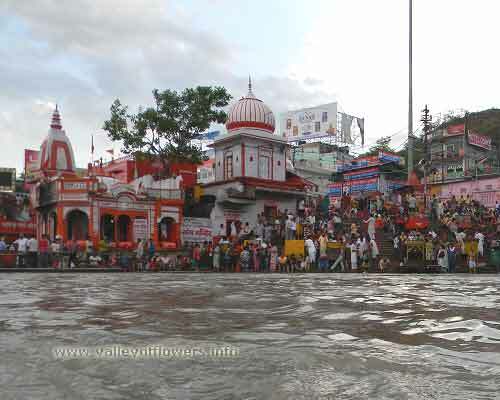 I want to know about the road condition rishikesh to Valley of Flowers. 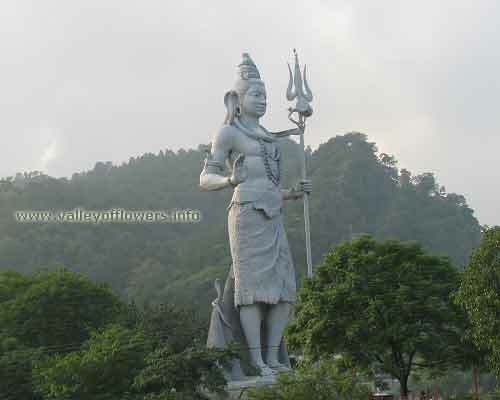 Can it will be right choice to visit in month of aug.
Definitely you can go from Rishikesh to Govidnghat on same day. August month will be good to visit Valley of Flowers as you will be able to see flowers at Valley of Flowers and at Hemkund Sahib as well. 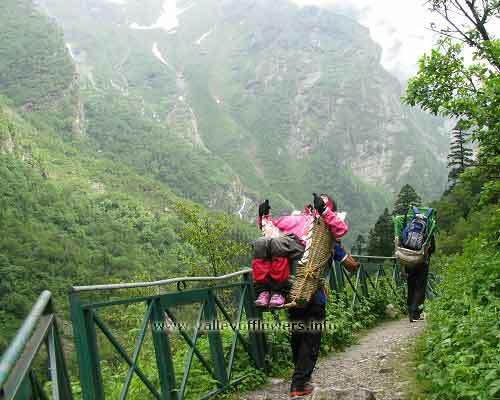 To reach Valley of Flowers firstly you need to go from Haridwar to Govindghat and then there will only trekking between Govindghat and Valley of Flowers. Ghangaria is a base camp for Valley of Flowers. We are group of 6-7 friends planning to visit in vally of flowers in mid august around 15-21 august. Can you suggest me that it is right time to visit Valley of Flowers.Monsoon season about to start and my concern is about the road condition and transportation in that month. Will october month also be conveinent for Valley of Flowers. Requirment of hotel in advance booking is mandatory or not for month of aug.
A detailed itinerary has been sent to you. For group discount you can call us on +919991142759. 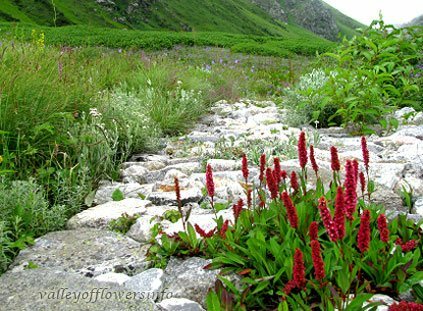 August will be a good month to visit Valley of Flowers as you’ll be able to see full bloom in Valley of Flowers as well in Hemkund Sahib. YES you are right monsoon will be there at that time but it’ll be worthy to go at that time as i wrote about full bloom. Advance bookings for hotels are mandatory. October month will not be appropriate to visit Valley of Flowers as Valley of Flowers will be snow capped again and all the plants will shed seeds and seeds will be preserved under snow to germinate again in next season when snow starts melting in May. 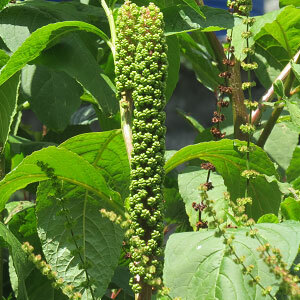 Hi, we are 7 to 8 people in a group planning to visit the Valley of Flowers in mid of July. I need your help in customizing my plan. Also, If you can help us with cabs and also hotels to stay. Please let us know the availability of mule to Ghangria. It’ll be good if you can share your mobile number with us on trekforall@gmail.com so that we can discuss it in detail. do you have any tour in 3dr or 4th week of june? we are family of two adult with small kid 1 year old.we will be coming from pune to haridwar via delhi. We are having a departure around 4th week of June starting on 28th June, 2015. But we wil not recommend you take your kid on the trip. A detailed itinerary has been sent to you for the trip starting on 28th June, 2015. We are a group of 15 people. Can we visit Valley of Flowers during 20th to 27th May ? Valley of Flowers will be opening on 1st June this year Sir, You can postpone it a little bit. i want to know how many day are require for Valley of Flowers and what are the accomodation facilities and tell me packages cost. You require at least 7 days for the trip to Valley of Flowers. A detailed mail has been sent to you regarding all the facilities and packages. I would like to visit Valley of Flowers in 1ST wk of Nov. Is it possible to go on that time. Valley of Flowers will be closed by that Time. I want to know about the budget. For 7 days trip how much cost will come? Also mail me the detailed brouchure. 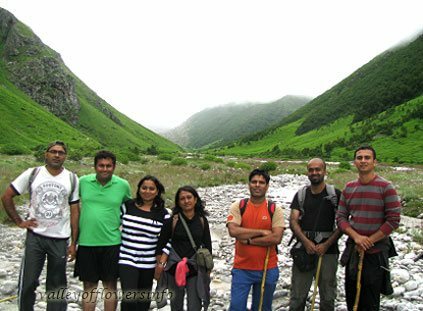 We are a group of 8 people from Delhi and are planning to visit the Valley of Flowers in the end of May, tentatively between 20th May – 31th May, 2015. It would be of great help if you could help me organize the trip right from travel, stay and most importantly the trek. Please read page to know the best time for the trip. A detailed mail has been sent to you regarding itinerary and cost. Can I visit there in oct, 2015? I am with family and kids of 4 years. Plz mention me the tariff and also helecopter fair. 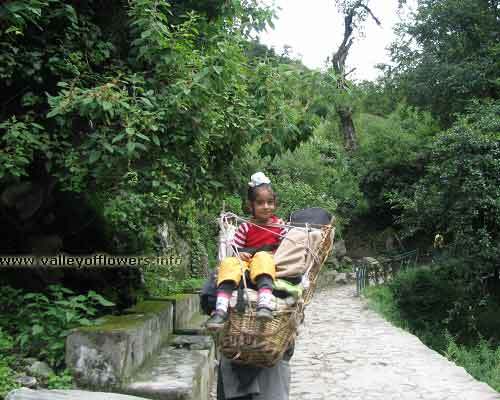 Valley of Flowers closes on 4th October every year. Please read Minimum age to visit Valley of Flowers, Whether kids can be taken for Valley of Flowers trek.. A detailed mail has been sent to you. regarding tariff and other details of package. We are a group of 7 young friends.We are planning to visit Valley of Flowers in june,15.Is this the right time to visit there to see flowers and snow both? Please suggest the way and share your views what should we do. If you want to see both flowers and snow you should visit in last week of June, you can come in the first departure. I have already sent you a detailed itinerary and cost. I am solo physically fit budget traveller. Visiting next week. Starting from 24 from delhi and ending on 31aug at delhi.. Please help me with plan and cost.. Thanks. me and my friend are planning a road trip on bikes. hows the road till Govindghat? 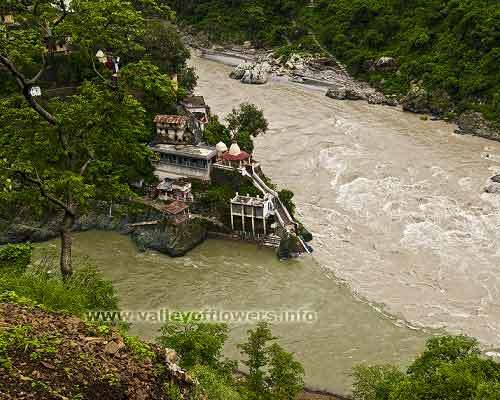 are there any hotel/rest house between haridwar and govindghat? There are many hotels on the way, but going by bike is not recommended in monsoon season, there will be landslides and mud slides on the way. 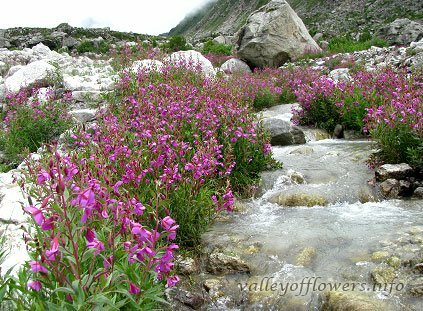 I’m planning to go to Valley of Flowers on 12 Aug’14, can you tell me how is the weather out there right now, i saw in the news (couple of weeks ago) that its been raining heavily in Uttrakhand and flooding everywhere. Monsoon is the best season for trek to Valley of Flowers. Do not be afraid of news as weather changes very rapidly all matters is the weather of the day you travel between Haridwar and Govindgaht. i liked this page very much but m afraid its very difficult to go there at the Valley of Flowers now a days as there had happend the kedar tragedy…. Kindly inform about the real and true situation.Can i now visit there. Hi…Kindly visit Valley of Flowers after Floods page and Valley of Flowers opened in 2014 page. hey…we are a family of 4 adults and will be accompanied by our parents who are in their 50’s.can u please mail me the details…thanks..
We need to plan a slightly shorter trip, in the second week of July. We want to leave Delhi on Tuesday evening or Wednesday morning and be back in Delhi on Sunday afternoon / evening. Is this possible? Could you please mail me an affordable itinerary with related costs? I need more information about the accommodation and tour plan. We are 6 persons with 3 kids planning to visit Valley of Flowers. Also how safe the journey would be for families? will it be suitable for kind below age 3-4? You can call me for the accommodation at Ghangaria and weather you can take your kid to the valley or not, please read this page. 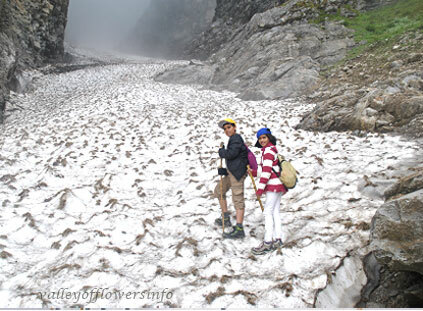 Minimum age to visit Valley of Flowers, Whether kids can be taken for Valley of Flowers trek. We are planning to visit in last week of July’14, can you send me all the details on email. For now, we are group of 2-3 folks, may increase once we get some more details. Planning for 1 week – 10 days trip. do you have any tour in 1st -2nd week of july?we are family of four adult with parents 50 plus.we will be coming from mumbai to haridwar via delhi. Yes we have a fixed departure starting on 6th July you can join in. I have sent you a detailed itinerary for the same. Hi, I am planning to visit the Valley of Flowers with my friends from Delhi in August. I need your help in customizing my plan. Also, If you can help us with cabs and also hotels to stay. My tentative days to visit iwll be from 14th Aug – 19th Aug.
Also, there will be girls in my group. So, i need your suggestion in how difficult the trekking path is? Will they be able to trek it. I will send a separate mail to answer all your questions. 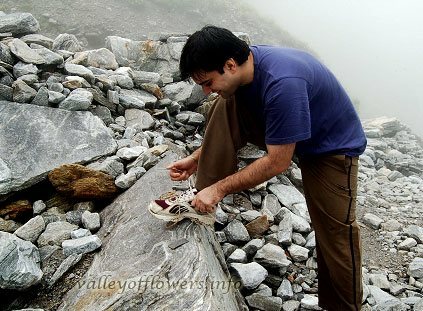 You can read How difficult is Valley of Flowers trek. for more details. If I am planning to drive from southern india, can you suggest route without touching delhi? 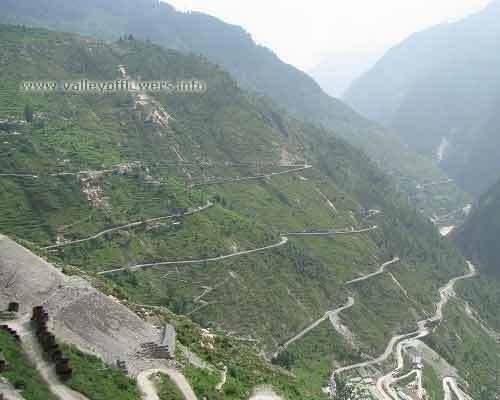 Is nainital to joshimath/ agra to joshimath route ok? You need to come to Delhi if coming to Valley of Flowers. You can take direct flight to Dehradun. Both of the routes you suggested are not recommended. I am Subhra from Bangalore planning for Valley of Flowers on 1st July with my brother kindly give me the cheapest option available as both of us are students. Like using public transport where ever possible. Public transport is very bad on this route, however some shared cabs are available at Rishikesh near Gurudwara. They start early morning from there. You can get your hotel rooms booked with us and the information is provided free of cost. Feel free the contact us on our phone numbers given on our contact us page. wanted to know if there are any fees for camcoder and still camera? Kindly visit section of home page. Still camera of all type is free and for professional movie camera Indians need to pay Rs. 500 per day and foreigners Rs. 1500 per day. The above link also has a picture original sign board at Valley of Flowers entry gate, it may be useful for you.